2018-19 Panini THREADS Basketball NBA Trading Cards., Threedom! Dazzle, Threedom! Dazzle Blue (#’d/25), Threedom! Dazzle Orange (#’d/5), Bringing Down the House, Bringing Down the House Dazzle, Bringing Down the House Dazzle Blue (#’d/25), Bringing Down the House Dazzle Orange (#’d/5). Football Boxes & Cases. Football Sets. Football Single Cards. Baseball Boxes & Cases. Baseball RC Lots. Baseball Sets. Baseball Single Cards. International Regulations. Each BLASTER Box Contains 2018-19 Panini THREADS Basketball NBA Trading Cards. 35 Cards Total Per Blaster Box. 1 (one) - 2018-19 Panini THREADS Basketball NBA Trading Cards. BLASTER BOX BREAK. 2 (two) - 2018-19 Panini THREADS Basketball NBA Trading Cards. 2018-19 Optic LUKA DONCIC RC Rookie Shock Parallel | PSA 9 Gem Mint | Mavs QTY. Condition is Very Good. Shipped with USPS First Class Package. 1 Hit Per Box On Average. NPP Blaster exclusives - Base Green, Base Status (#’d/99 or less), Rookies 1, Rookies 1 Green, Rookies 1 Status (#’d/99 or less), Rookie Credentials, Rookie Credentials Green, Elite Series, Elite Series Green, Top Status, Top Status Green, Court Vision and Court Vision Green. 2018-19 Panini Impeccable Trae Young Rookie Autograph Patch 73/99 RC Auto Hawks. Just pulled sick card! Shipped with USPS First Class Package. Look for autographs from the NBA’s best past, present and future stars! Collect rookie cards and inserts that only fall in NPP SKUs! Find three exclusive rookie cards and one exclusive inserts per box, on average! 3 Luka Doncic. 23 Luka Doncic. (1) 2018-19 Freshman Phenoms Set, cards #1 - 25. (1) 2018-19 Dominance Set, cards #1 - 30;. (1) 2018-19 Hype! Set, cards #1 - 10;. Cards are in MINT condition. List of all the cards you get is below. Look for 1 hit per box. Look for 1 hit per box on average. 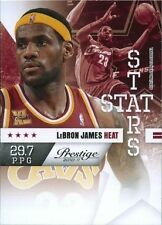 2018/19 Panini Status Basketball Blaster Box. Buy more than one blaster and save. · Collect rookie cards and inserts that only fall in NPP SKUs! Find eight exclusive rookie cards and two exclusive inserts per box, on average! Football Boxes & Cases. Football Sets. Football Single Cards. Baseball Boxes & Cases. Baseball RC Lots. Baseball Sets. Baseball Single Cards. 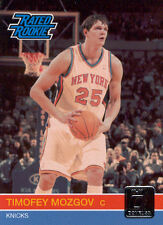 - Look for the debut of classic Donruss desighns in basketball! New Listing2018-19 Panini Select Donte DiVincenzo AUTO Jersey RC, SP #/199, Bucks Rookie! This fixed price listing is for 1 2009 Panini #400 James Harden rookie card. I have 50 of these available. Shipping is free. If you order 1-2 cards, they will be shipped in a white envelope with in a top loader with sleeve. If you order 3 or more, I will ship in a bubble envelope. Cards are at least NM/MT. Most of these cards are MINT or better. Exclusive Acetate Rookies can only be found in the blaster boxes! ONLY RELEASED IN AUSTRALIA, THESE BLASTER BOXES HAVE THE SUPER RARE ACETATE ROOKIES AND JADE PARALLEL EXCLUSIVE ROOKIE AUTOS! SUPER RARE BLASTER BOXES. 2017-18 Panini Prizm Luke Kennard Orange Prizms Rookie Card #171 Serial #'d 05/49 Graded BGS 9.5 Gem Mint. 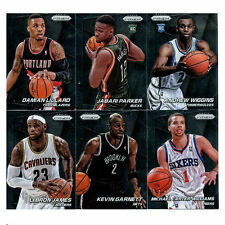 2018-19 Panini THREADS Basketball NBA Trading Cards., Threedom! Dazzle, Threedom! Dazzle Gold (#’d/10), Threedom! Dazzle Black (#’d/1), Bringing Down the House, Bringing Down the House Dazzle, Bringing Down the House Dazzle Gold (#’d/10), Bringing Down the House Dazzle Black (#’d/1). DAMIAN LILLARD 2012 SELECT PRIZM WHITE HOT ROOKIE SILVER REFRACTOR RC BLAZERS/25. Condition is Like New. Shipped with USPS First Class Package. 2018-19 Court Kings Jaren Jackson Jr. Heir Apparent Rookie On Card Auto /99. Condition is Very Good. Shipped with USPS First Class Package. 2017-18 Panini Donruss Optic Basketball Features a 200-Card Set Including 150 Base and 50 Base Rated Rookies. 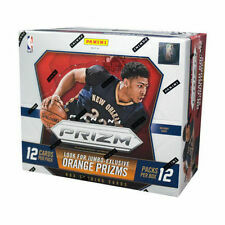 EXCLUSIVE: 20 Rated Rookies Red & Yellow & 2 Holo Prizms per box on average! 50,000 square-foot custom facility with over 60 people on staff. DAMIAN LILLARD 2012-13 NATIONAL TREASURES TIMELINE ROOKIE RC PRIME PATCH #14/25!